Equitrekking takes a look at Great American Ranches, riding at various ranches in Wyoming, Colorado, Arizona, Quebec, Texas, Maui and the Big Island to see how their geography and history influence their present workings. 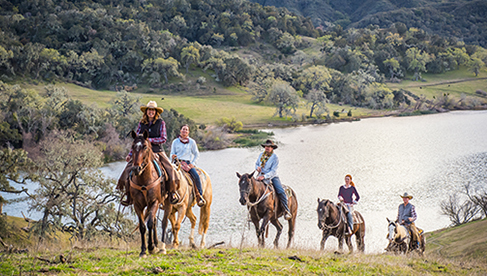 Interviewing ranch owners and cowboys who have chosen to hold fast to their traditions and Western culture, viewers learn what it’s like to run a ranch in America, while also riding through some of the beautiful wild terrain where these ranches lie. 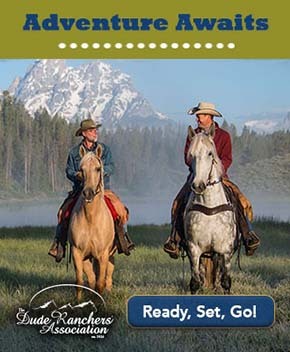 Watch the Equitrekking video promos and purchase Equitrekking DVDs in our Store. 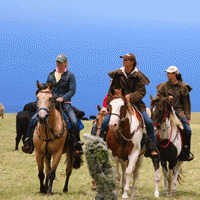 Learn about EquitrekkingTravel.com's exceptional equestrian vacations. View a promo for this Equitrekking special below.